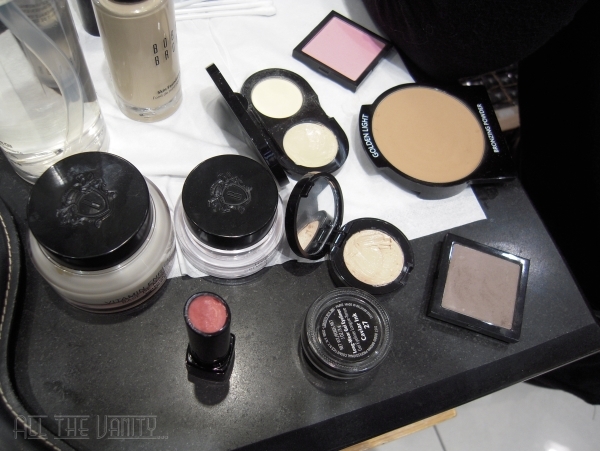 My experience at the Bobbi Brown counter... (plus a mini haul)! A few weeks ago I had the opportunity to get my makeup done at the Bobbi Brown counter in Attica department store. One of Bobbi Brown's international makeup artists, Eliano Bou Assi, was there to offer his expertise to the counter MUA'S, and along with them, he was also offering personalised makeup lessons to the lucky ladies that had booked an appointment. Now, unfortunately, the day that Eliano Bou Assi was there, the appointments were falling extremely behind schedule, to the point were they sent many girls home, including myself, despite waiting patiently in line for nearly an hour (though I never really understood why some appointments were favoured over others that were already in queue). Long story short and organisational issues aside, I booked a lesson for the following day, sadly without the renowned Eliano present. Still, the lovely Maria created a personalised look for me, that suited my colours and politely answered every question I had. I'll have to admit, that this lesson couldn't have come at a better time, since I'm not overly familiar with Bobbi Brown products and I was extremely curious about the whole "corrector and concealer" concept. From what I gathered and witnessed in action, the corrector is meant to even out or counteract the darkness of the undereye circles, whereas the concealer is the one that actually brightens the area. What particularly impressed me was the Skin Foundation SPF15, for the lightweight feel, the even finish and the shade selection (I was perfectly matched to Alabaster, the lightest one, and finding that close a match to my pale skin is almost impossible), as well as the Creamy Lip Color in Pink Ballet, which added amazing shine to the lips. 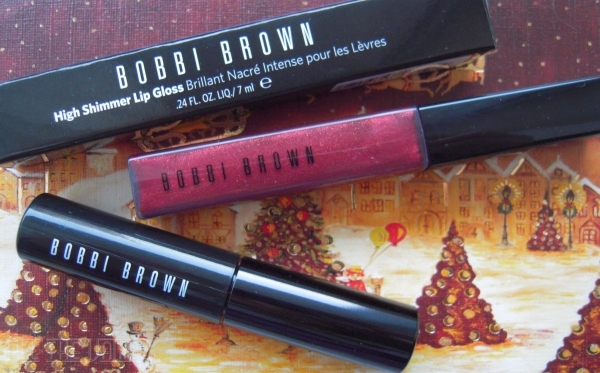 Naturally, when the products are good, a haul is to be expected, though I didn't pick any of the products used on me: I went for the prettiest lipgloss I've come across in a long time, Bobbi Brown High Shimmer Lip Gloss in 08 Black Ruby, which makes for an ideal holiday lip shade! The mini Extreme Party Mascara was a gwp and I'll be saving it for when I run out of my current one. 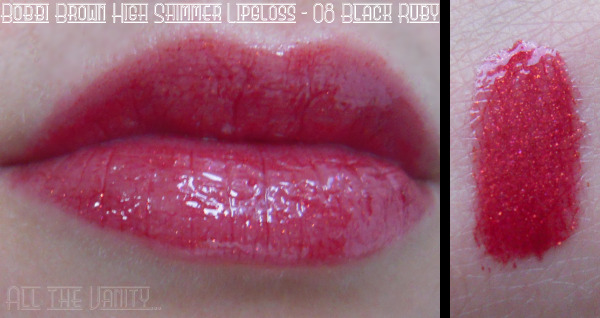 In case you needed any more convincing, I've included a quick swatch of the lipgloss below: a pigmented deep cherry red shade, shot with fuchsia/red shimmer. A hundred times prettier than Givenchy Acoustic Wild Rose (my other contender), and one that I'll definitely enjoy! All in all, a worthwhile experience! 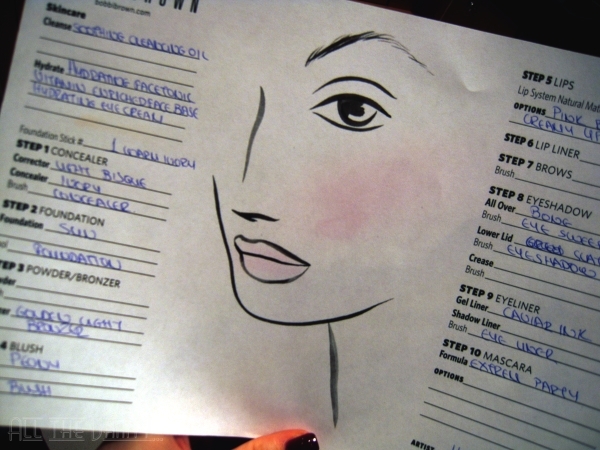 Do you like getting your makeup done at makeup counters? Do they match your skin and style or do you rush home to take it off? What's your holiday lip shade of choice? I really love Bobbi Brown!They have amazing products! 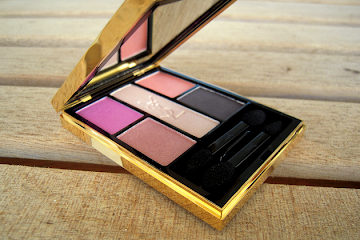 check my blog if you want,I have a Bobbi Brown Giveaway!! I have to say that I'm sooo turned off by faulty customer service. That situation where you've been standing there like a fool waiting to be served, while other women that have just walked into the store were favoured against you, it's simply unacceptable. They should realise that the competition among beauty brands nowadays is huge. Things like these can easily make you turn your back to them and spend your money to another brand! You know what? There was never a time when I had my makeup done at a makeup counter, go home and say "wow, this whole ensemble is so me". Never! As for my lipstick of choice for the holidays, it has to be Russian Red. No matter how many new lipsticks I buy in the red/berry colour family, I always go back to Russian Red for a glamorous look! @Evi: I know, what I don't understand is a) why didn't they call to inform that they were falling behind schedule, or b) why didn't they keep the damn line as it were? But I guess, that the girls were organising and working at the same time, when the organising part should have been arranged by someone else imo. 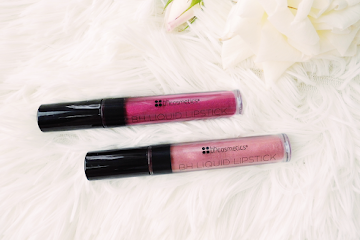 Yep, I think that all Bobbi Brown lipglosses tend to make the lips fuller, they're super glossy and shiny, so they give an amazing finish! A convert, for sure!!! LOL, I know what you mean abt the counter looks, I was surprised this time myself! She didn't wow me, but it was a "me" look, so, I cannot complain! ps get your smexy a** over here already, muahaha!! OH...that lipgloss..that amazing lipgloss...!!! I might have to visit the Bobbi Brown counter next week....! @Athina: Soo, did I inspire any purchases? Hahaha!!! Love that though, going makeup shopping after checking out what's new on blogs (too bad that this usually means I'm better informed than the sales ladies)! wow! that gloss is nice and i'm not a glosslover! i have never had a make up done at a counter. i feel a bit awkward...strange thing. It is time for me to dare a red lipstick and a shiseido red (don't remember the product number) given as a freebie some time ago. When first swatched, it was so not me. But a few days ago, i gave it a second chance, applied with a lipstick brush, and i loved it! 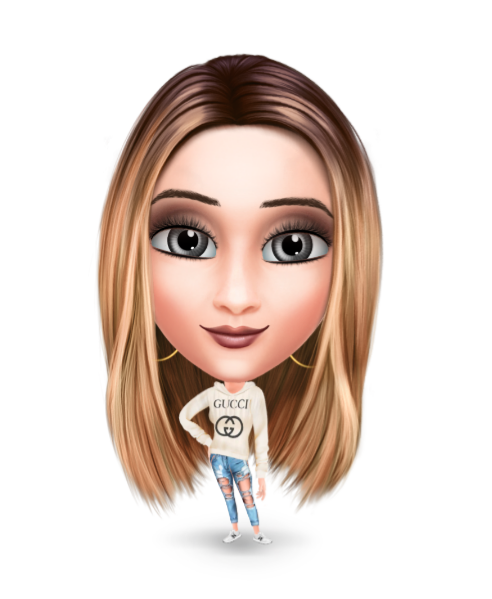 @evi: Seems that every girl enjoys Bobbi Brown products more or less, and it's a brand that I guess builds its fans slowly! The counter appointments can be a hit or miss (miss mostly), but it's a good way to get introduced to a certain brand!